Steam is everyone’s favorite DRM (Data Rights Management) system. It’s fast, convenient and the gold standard in PC gaming. It’s also a lot more powerful than you may realize. There are features hidden in Valve’s OS that you may not realize are even there. Here’s how to take advantage of them and use Steam to its fullest extent. This one is annoying, because playing a game while you’re waiting for another to download seems like the natural thing to do. Why wouldn’t you? Isn’t the whole point of having games to kill time? Unfortunately, the default behavior behind Steam is to pause a download while another game is running. To switch it back on, start up the other game and Alt-Tab back to Steam. Go to Library > Downloads > Play game for the paused download. That’ll get it running in the background. Fair warning: When I tried this, it often said there was an issue downloading and would stop every ~10 minutes. Watch out for this, it’s not a real issue. Just click OK and restart the download. That’s the temporary solution, if you want to do that background work just once. To enable it for all downloads, try Steam > Preferences > Downloads > Allow downloads during gameplay. Did you know Steam has a built-in FPS overlay? 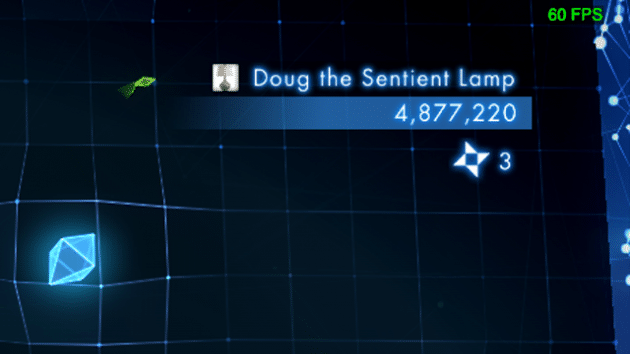 It’s a subtle, useful tool when you’re starting up a new game and trying to figure out how high you can turn up the graphics while keeping a consistent framerate. Steam > Settings > In-game > Frame counter > Upper Right puts a subtle gray number (really, it’s easy to miss) in the upper right corner. Not as fully featured as something like Fraps, but simpler and built into Steam. Drivers are the source of 99.99% of all troubles on Windows for the average user. They’re why you can’t connect to that dumb printer, why your mouse stopped working on Windows 10 and why your graphics card isn’t running as fast as it could be. Instead of digging through the card manufacturer’s website, you can go to Steam > Check for Video Driver Updates to install them within the client. Maybe you have a solid-state drive and a regular hard drive and want to put your current game on the SSD and everything else on the HDD. You can use Steam Mover to quickly and easily move Steam games from folder to folder without breaking the system (Steam Mover leaves a link to the new location). I just got a copy of The Witcher 3 set up, and it took a good long while. Even a strong wireless connection takes some time to download 40 GB of game files. Why wait to start game downloads until you’re home? Better to get the Steam app for Android or iPhone and start that download remotely. Just go to your library and start it up. You can download and remove games en masse through the batch interface. 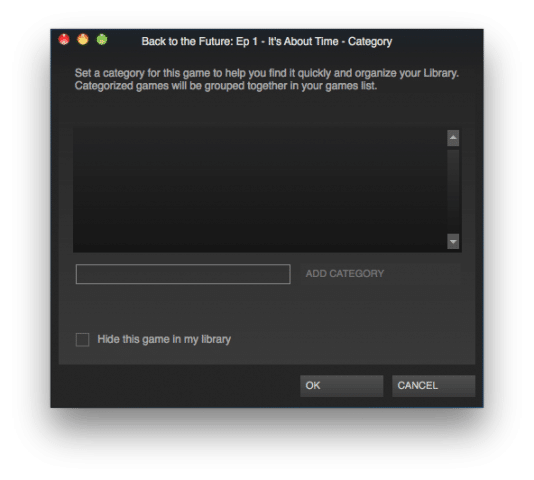 Go to Library > Detail view and Ctrl-click every game you want to (un)install. Now right-click one of the selected files to perform a batch action. My Steam library is full of games that, frankly, I never wanted. Between games on free trials and tons of junk from years of Humble Bundles, there’s stuff I’ll never have the time or interest to play. Serious PC gamers who binge-bought through a couple Steam sales know what I’m talking about. To see your hidden games, go to Library > Search > Games button > Hidden. Steam is alright as a desktop app, but it has some basic problems that desktop web browsers solved ages ago. The desktop app is basically a wrapper for the site that doesn’t support tabs or Google search. 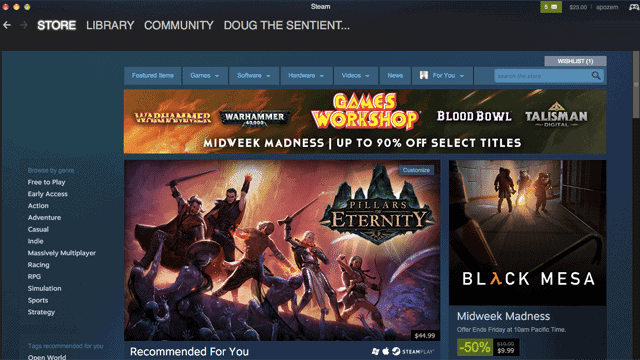 Outside of certain important features (namely, downloading a game), browsing Steam is a better experience in a modern web browser. Besides, you could always find a weird ARG hidden in the site’s code. What are some of your favorite Steam tricks? We’d love to hear more in the comments!